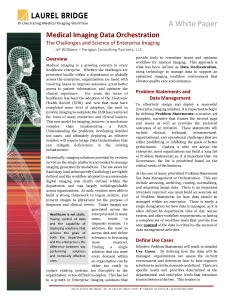 Orchestrate the movement of a patient’s relevant prior studies among any number of imaging IT systems to give caregivers access to their patient’s complete imaging record. 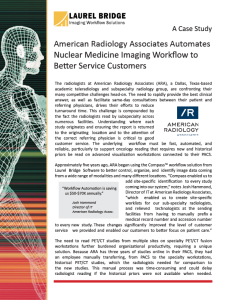 Create reliable, automated processes that get the right imaging studies into the hands of clinicians at the right time, regardless of IT system complexity. 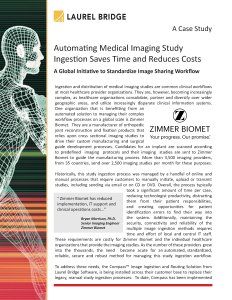 Both HL7 and DICOM based workflow events can trigger workflow actions. 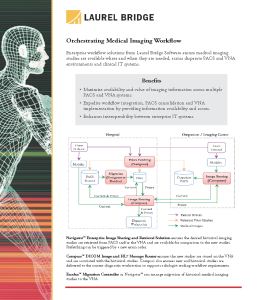 Stop managing medical image archive migrations episodically and embrace them as part of your enterprise imaging strategy. Our archive migration and consolidation tools empower your organization to maintain and manage access to the increasing amounts of new and legacy clinical imaging information that exists across your enterprise. Our powerful and reliable system administration tools enable PACS and IT administrators to quickly implement the complex DICOM and HL7 driven clinical workflows that are needed. 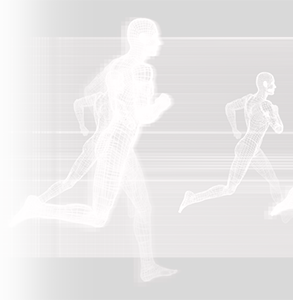 Speed up application design with our industry-best solutions for developers and OEMs. Create customized applications, design and manage complex systems, and bolster troubleshooting and development efforts. 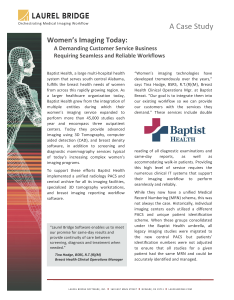 Healthcare Providers – Our enterprise imaging workflow solutions ensure the right studies are delivered to the right clinicians at the right time. 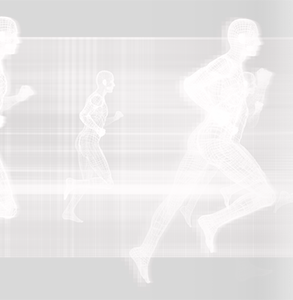 Our archiving & consolidation solutions facilitate PACS and VNA implementations. 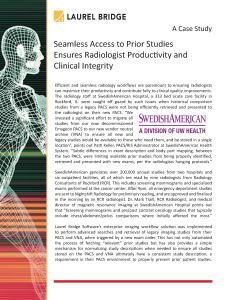 Teleradiology Providers – Our enterprise imaging workflow solutions ensure timely delivery of new and historical studies regardless of schedule complexity. 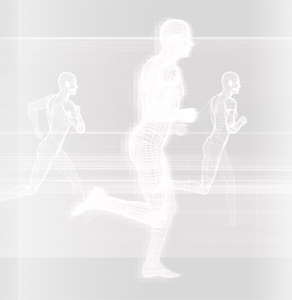 IT / PACS Administrators – Streamline your enterprise with an archiving & consolidation solution. Leverage the power of Exodus for migration, Compass, Navigator and Waypoint for automated imaging workflow, and PowerTools for an industry-favorite suite of PACS admin tools. Distributors / Resellers – Strengthen your customer relationships by adding our workflow automation solutions to your integrated offerings. Explore opportunities for partnering with Laurel Bridge. You have the relationship. We have the solution. OEMs – Enhance the interoperability of your trusted solutions by integrating one of our proven workflow products. 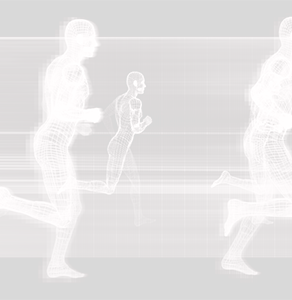 We can also develop a customized DICOM solution to meet your unique vision. Developers – Reduce time to market with our innovative developer solutions. Create, troubleshoot and manage complex enterprise medical imaging systems with our DICOM developer toolkit and PowerTools suite of DICOM & HL7 utilities to solve your most vexing development challenges. 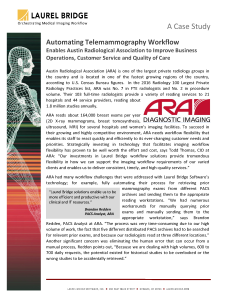 Discover how Laurel Bridge seamlessly integrates medical imaging workflows across the healthcare enterprise. 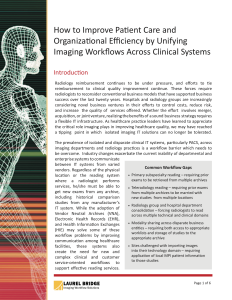 How to Improve Patient Care and Organizational Efficiency by Unifying Imaging Workflows Across Clinical Systems. © 1999-2019 Laurel Bridge Software, Inc.
Laurel Bridge, Compass, DCF, Exodus, Navigator, PowerTools, Switchboard, Waypoint and the goldenrod Laurel Bridge logo are trademarks of Laurel Bridge Software, Inc.